A.C.E�performed on KBS' 'Open Concert' this week. 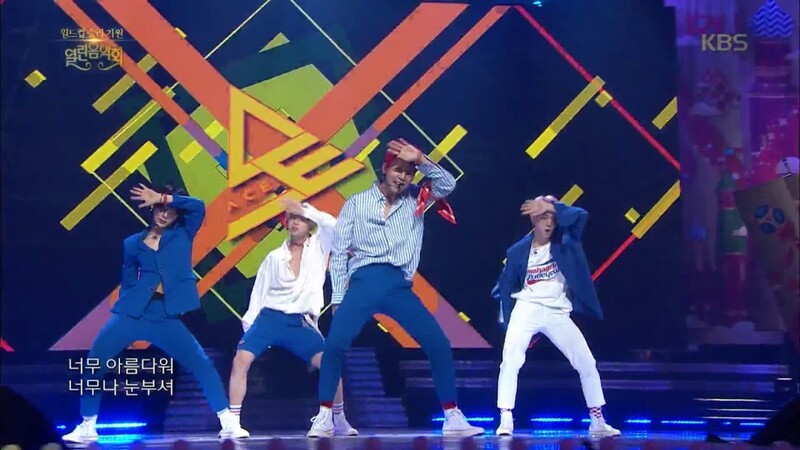 A.C.E, a group that's famous for their crisp choreography and live performances, did not disappoint as they sang and danced to the hearts of the general public and fans alike. "Take Me Higher" is their latest title song from the group's album 'Adventures in Wonderland'. Check out their appearance on 'Open Concert' below. Have you gotten a chance to listen to their album? If so, tell us what you thought about it!